在2019年的财政预算案中，希盟政府宣布将在2019年继续派发人民生活援助金 (Bantuan Sara Hidup Rakyat)。这个原本被称为 BR1M 援助金在希盟政府执政后，已经改名为 BSH (Bantuan Sara Hidup). I have been given the aid in the past five years through bank transfer. Do I need to apply for it again ? Yes, we will always update our article and content. Please stay tuned. 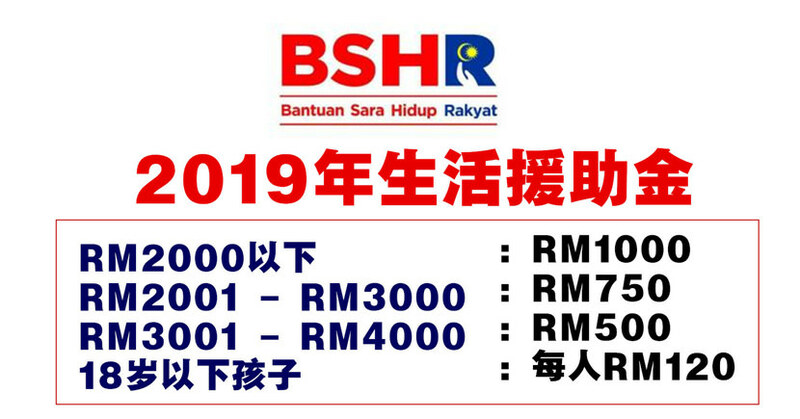 Application for Bantuan Sara Hidup (BSH) 2019 will be open from January 2019. The detail of the application will be announced soon.